Employer matching gifts are a great way to double your donation to Habitat for Humanity Portland/Metro East! Use the search field above to see if your employer participates in a matching gift program. By donating to Habitat and submitting a matching gift request through your company’s internal system or by submitting a matching gift form you could double or even triple the impact of your gift! Your past donations to Habitat can often still be matched as well! Employee matching gift programs are corporate giving programs in which the company matches donations made by employees to eligible nonprofit organizations. It is an easy way to double your contribution to Habitat for Humanity! Requesting a matching gift is normally a five minute process that must be initiated by the donor. You can do this by filling out and submitting a match form through an online submission or a paper form. For company specific information about submitting a match form, use the search tool above. For questions regarding your company’s programs, please contact your employer’s HR or community giving department. For questions regarding submitting a matching gift or volunteer grant request to us, please contact us using the information provided below. When do I need to submit my matching gift request? End of the calendar year. A set number of months from the date of the donation. The standard is one year though it can range from one to twelve months. End of January or February in the year following when the donation was made. Payroll deductions are another way you can donate to HFHPME through your workplace. Gifts can be either one-time or ongoing. Please check with your employer to see how you can donate through payroll deductions. See if the company you work for matches gifts (above) and have your monthly payroll deductions matched! Please check with your employer for more information. Or if you have questions, contact Preston at 503-287-9529 x28 or at preston@habitatportlandmetro.org. We are happy to partner with your company to promote workplace giving! In conjunction with your workplace giving program or campaign, Habitat can provide information about our work and services or may even be able to give a presentation to your employees about our organization. If you are interested or have questions, contact Preston at 503-287-9529 x28 or at preston@habitatportlandmetro.org. Click here to find out if your company matches volunteer hours! 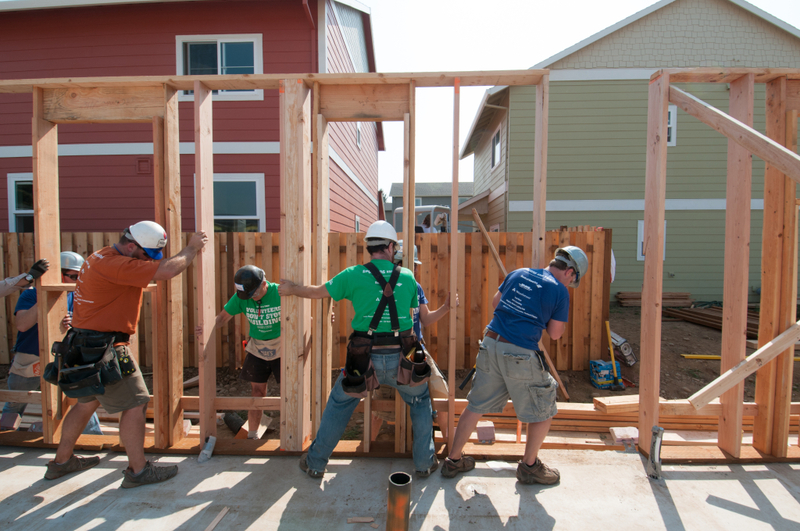 Is your business interested in group volunteer opportunities with Habitat? 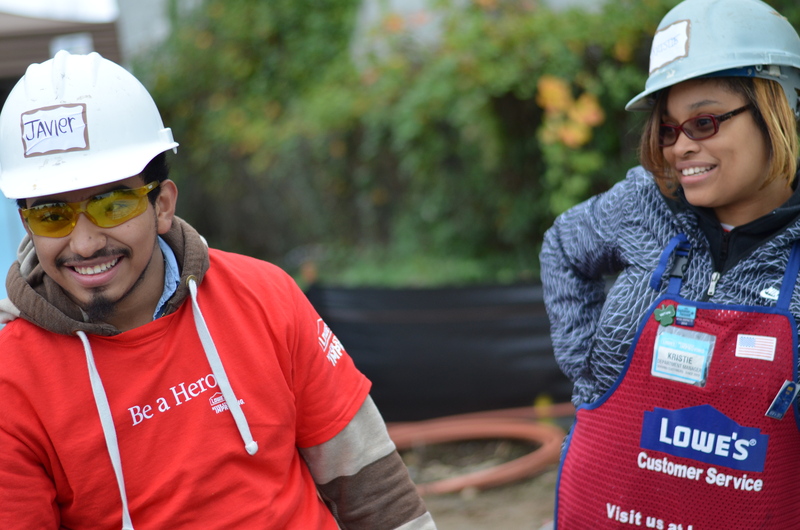 Habitat’s Team Builders program is designed especially for corporate groups to come together for a day of team building and home building with Habitat for Humanity. No previous construction experience is necessary– just a willingness for your group to work together as a team to help your community.